First edition of The Confluence that happened in Feb 2015, had brought in lot of confidence with respect to the audience that have interest in listening to the stories of landscape and landscape photography. 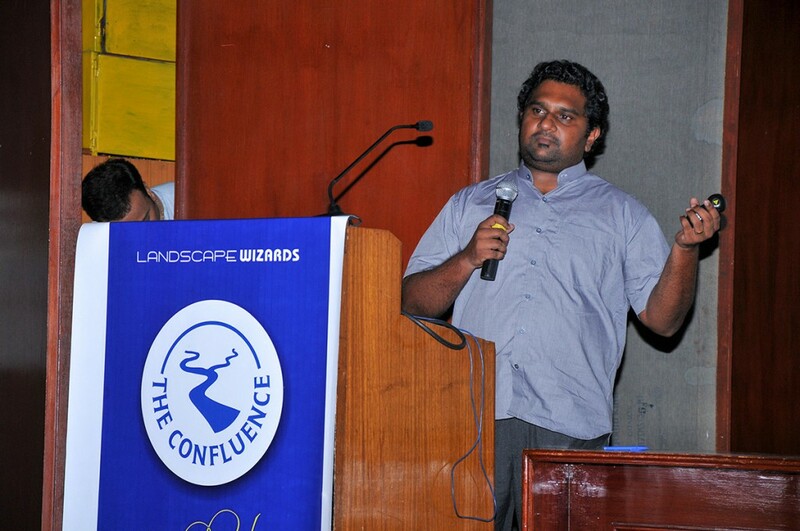 With that confidence Landscape Wizards organised the second edition of The Confluence this year in April. 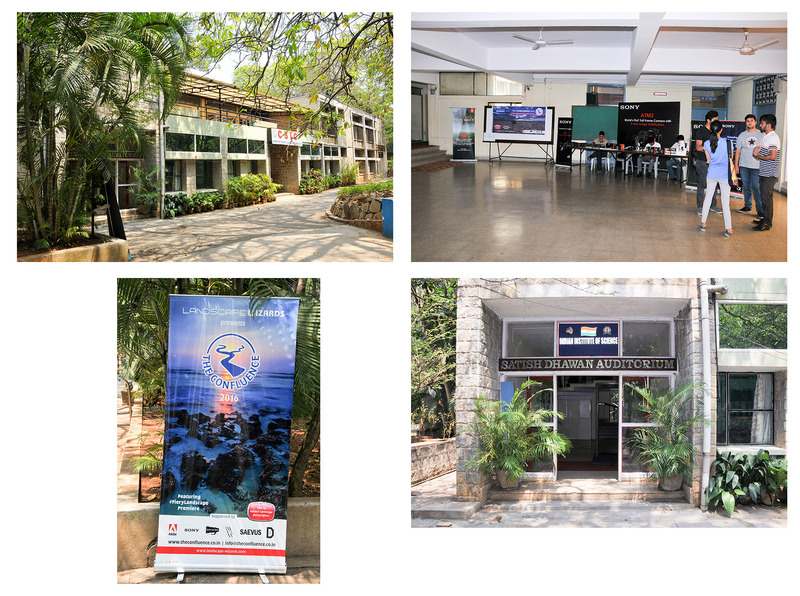 Landscape Wizards decided to host it on 2nd of April and this time the venue had been fixed as Sathish Dhawan Auditorium at Indian Institute of Science, Bangalore. This time the aim was to give more varied experience to the audience with respect to the genre of landscape photography and for non-photographers it was all about various forms of landscape and the stories associated with it. Couple of portfolio presentation was also planned to showcase the photography works of some accomplished photographers. Premier of the next unseen landscapes documentary FiLa was planned at the end, soon after the keynote talk by Young National Geographic Explorer. The schedule was hectic and talks were heavy with content. 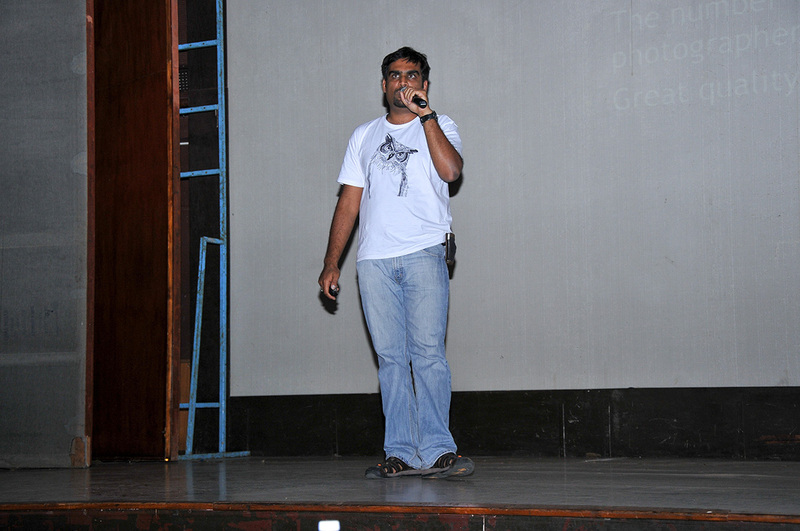 Program began at 2:15pm with the first talk by Gautham Tulasi, on the life in the mountains. It was about his experience during his various treks in Himalayas and through his impressive images he gave a very nice glimpse of what it means and what it takes to live in the high mountains and how people have adapted themselves to live in those remote areas. The images of the frozen landscape of Zanskar river and the portraits of the children of those region really touched the audience. This time Landscape Wizards had conducted a landscape photography contest, first of its kind in India. It was called Photo Hop. There were five winners in total and it was planned to showcase each winner in between two photo talks. 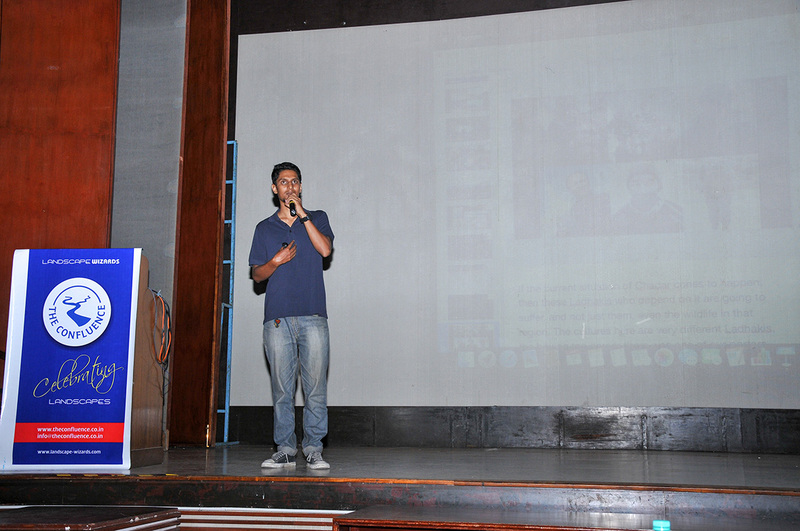 Sriharsha gave an introduction to the contest and the first winner was showcased after the talk of Gautham Tulasi. The next talk was by Vivek Kale, a fine landscape photographer from Pune, Maharashtra, who has an astonishing collection unique imagery from Maharashtra. 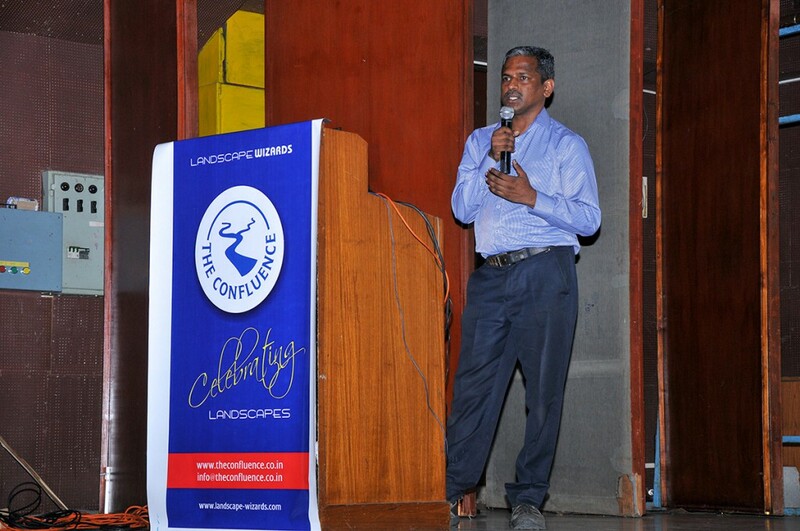 His talk was on Geological Landscapes of Maharashtra. The images shown by Vivek left the audience speechless. Using the Landscape Photography as a medium of expression to express deep feelings is something that is not tried often In India. Dinesh Hegde Maneer is practising this via his ongoing project termed Portraits of a Mother. He showed how he ‘sees’ while doing landscape photography via a nice video that captured the thought process and the way of seeing while making images. One of the greatest joys in making images is when we see them printed big. The satisfaction of holding one of your images in print and admiring it adorning a wall is immense. Printing images require ultimate dedication as prints are less forgiving than computer displays when it comes to highlighting flaws. Pratap J Rao has been shooting and printing landscape images for about 8 years. He was there to talk about the Fine Art of finding photographic expression on paper. 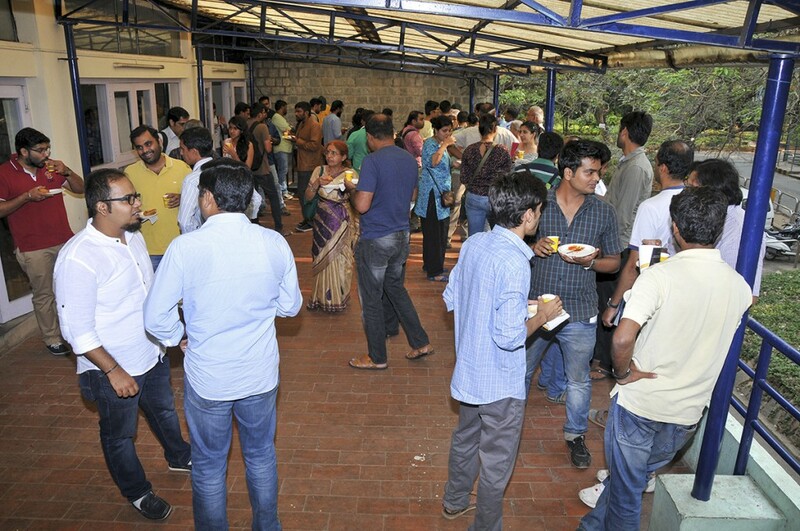 After Pratap’s talk audience were given a tea break of 15 minutes and hot ginger chai and lemon tea were served along with delicious Samosas. 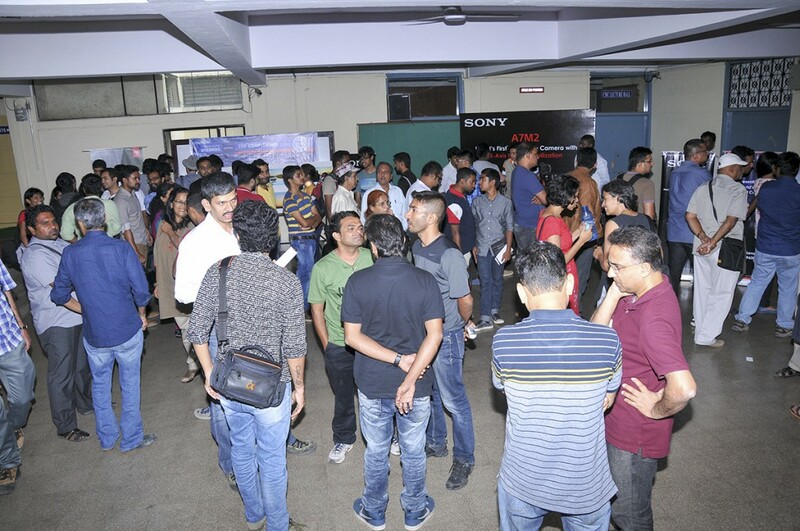 It was a good get together of like minded photographers and nature lovers at one place. People exchanged greetings and ideas over a cup of chai before the next talk began at 4:40pm. 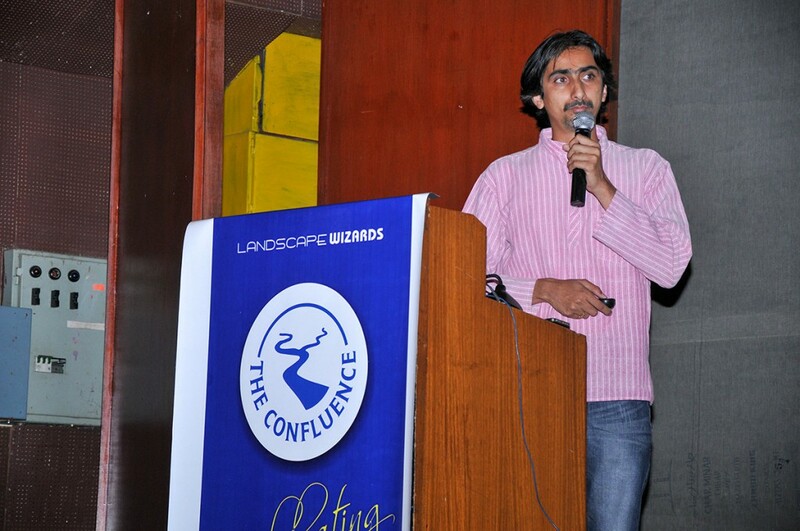 Praveen Mohandas presented the next talk which was based on The Wild Landscapes. Wildlife and Landscapes go hand in hand and one cannot exist without the other. The dependencies of each other on one another is what makes this web of life so amazing. Highlighting the subtle interaction between these two elements is a subtle genre of Landscape photography. Praveen Mohandas has been practising this over the years. 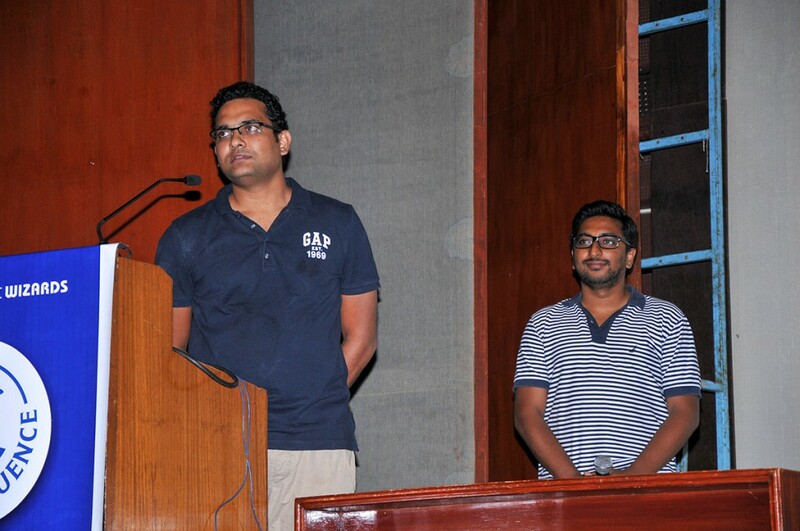 Prakash Matada and Karthik Reddy from IoraPro went to the stage next to talk about Aerial Landscape. Karthik is a drone expert and they both spoke about the latest advancement in aerial shooting via drone and played a wonderful video of Western Ghats and waterfalls shot using aerial technique. Their talk gave a nice glimpse into the latest changes in that domain with respect to the technology and visualization point of view. One of the important aspect of photography is the part of post processing. Mastering this aspect is one of the very important tools to become a successful photographer. This is especially true with Landscape Photography. To throw more light onto this aspect Landscape Wizards had invited Abhishek Mukherjee from Adobe. He is Senior Creative Evangelist for Adobe Systems based out of New Delhi. 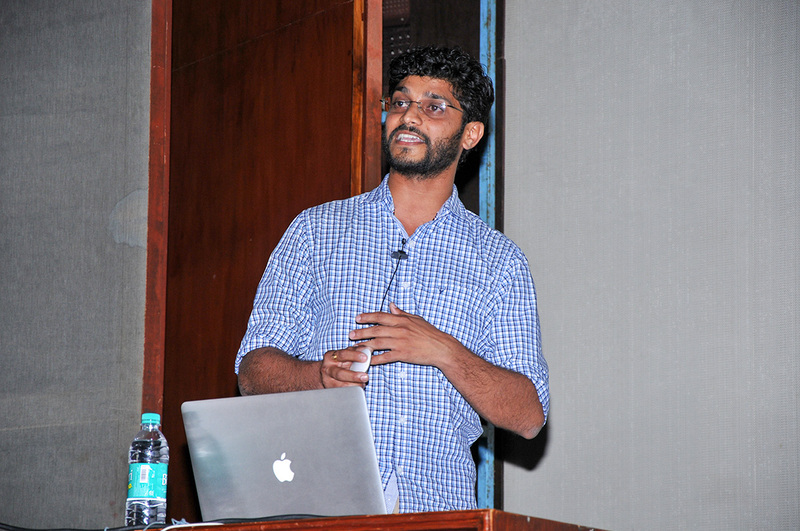 His talk was on The Digital Dark Room – Post Processing in Landscape Photography. 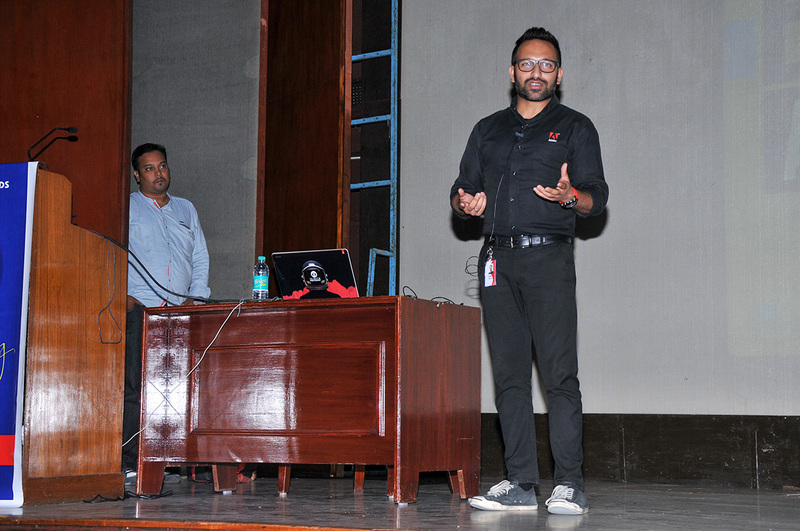 Keynote by National Geographic Explorer – Prasenjeet Yadav was the final talk of the day, before our documentary Fiery Landscape was premiered. Prasenjeet was talking about Landscapes Beyond their beauty. He has a rich experience in shooting at high altitudes in the southern Western Ghats and his research on the life forms found in those high altitude sky islands has given him an amazing opportunities to tell some very interesting stories from that little known landscape. 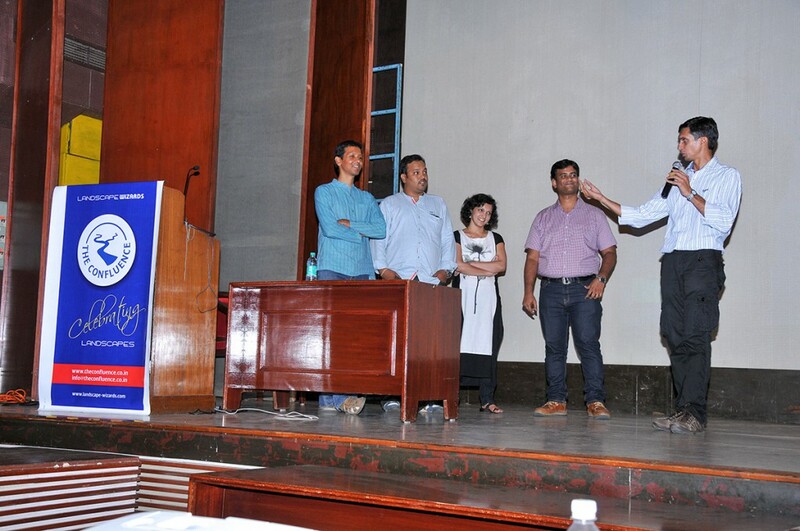 After the keynote talk it was time to handover the prizes to the winners of Photo Hop contest. Basavaraj Totad, Founder and MD of Decker Devices Pvt Ltd handed over the prizes to all the winners. Now it was time for which we were all waiting – the premier of our next UNSEEN story – FiLa! Fiery Landscape, is a documentary made on the mysterious ghost lights of Banni grassland in Gujarat. It is a story of the effort made by Landscape Wizards to see and document those lights on camera, something that has never been done before. This was the next one in our Unseen Landscape series after the SuLa last year. Landscape Wizards team went on stage for a Q&A post the premier and after this session a trailer of the next year’s project was played. 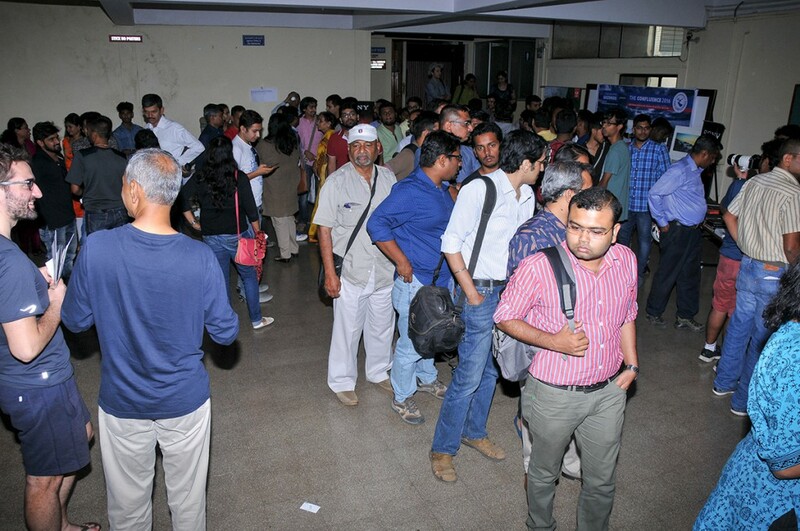 The event ended on a happy note at 7:30pm with a hope to come back next year with some more compelling content. 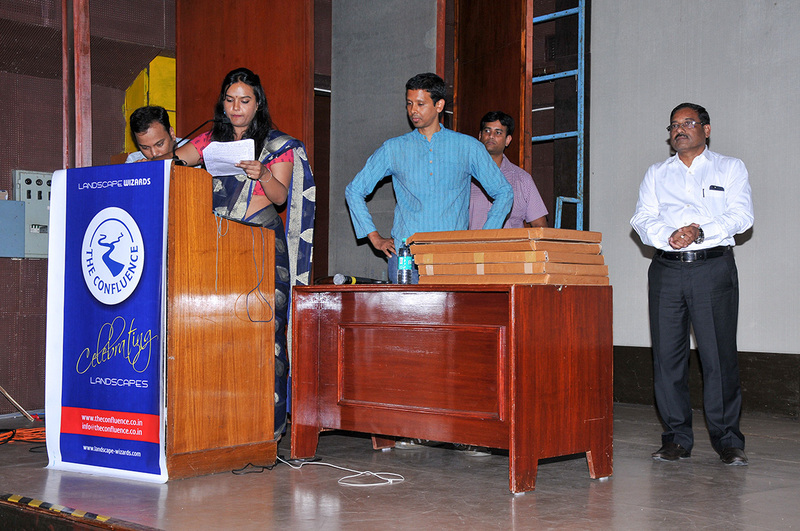 Event was hosted by Sapna and vote of thanks was delivered by Sriharsha Ganjam. In the coming days we will be uploading these talks on YouTube under the below link. We would like to thank all our sponsors who have helped us in making this event happen. Without their genuine support it was almost impossible to make the event happen. Below is the list of sponsors to whom we say a big thanks.